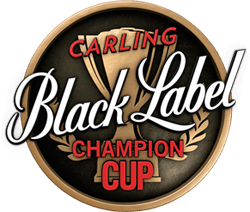 At approximately 15h10 yesterday 29 July 2017, 20 minutes before the scheduled kick-off of the Annual Carling Black Label Cup at FNB Stadium, a small group of un-ticketed members of the public (meaning without match tickets), despite the presence of members of the SAPS and private security, forced a number of emergency gates open in a rolling wave breaching the perimeter gates gaining illegal access to the Stadium. 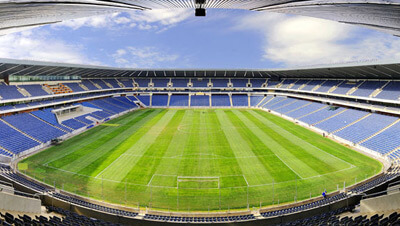 At approximately 11h00 on Thursday, 27 July 2017 Ms Simone Stapelberg (SMSA) came to Patrick Ronan, the Risk Management Safety & Security Specialist, on site and stated that there was a gentleman who had arrived un-announced at the Stadium (Gate B) whom wanted to speak to someone about counterfeit tickets for the 2017 CLBC. Patrick then advised Simone to immediately instruct security to bring the gentleman concerned to the SMSA Events Ops room and Patrick conducted an interview with him in the presence of Simone. The entire interview was recorded with the consent of the gentleman concerned of which Simone has a copy of. The gentleman concerned, stated that he was the chairperson of the JHB Central Kaizer Chiefs supporters club. He stated that he ran (supporter) tours and that he had, through an acquaintance of his, found out about the illegal sale of counterfeit tickets for Saturday’s match. He stated that he was then concerned about this due to the fact that he knew yesterday’s match had been sold out and the sale of counterfeit tickets was putting the event at risk. Off his own bat he had acquired 2 of the counterfeit tickets through a Kaizer Chiefs supporter club member (“Parker”), who ran a photography business in Joubert Park. Parker in turn had the mobile number of a member of a syndicate who, if you called him and stated “I hear you have tickets,” would deliver tickets in central Johannesburg/Melville etc. This gentleman advised that he had ordered 2 tickets, met with “Parker” and he had paid R100 each for them. 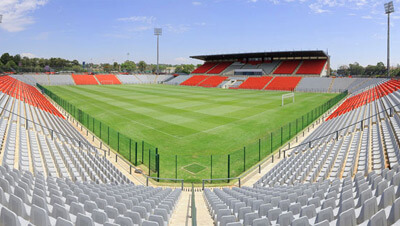 He showed Patrick the tickets whom then noted that the tickets were both for Level 1 – as you know the maintenance of the differentiated ticketing pricing policy strategy at this level is a tremendous match day challenge at Soweto Derbies. 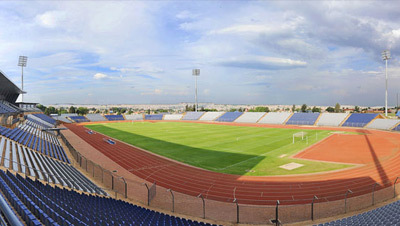 The gentleman went onto saying that “Parker’s” contact advised him that the ticket would not scan and so, when he arrived at the Stadium, he must just go to the Computicket verification office near Gate 13 and that the ticket would be stamped and then the turnstile security would accept it. The gentleman said he saw 2 or 3 shoe boxes stuffed full of similar tickets in the possession. When Patrick studied the fake tickets he noticed that it had been printed on genuine Computicket ticket blank stock (rear of ticket was real) – which was a real concern to him as it suggested internal corruption at Computicket and/or at their official ticket outlet agents. 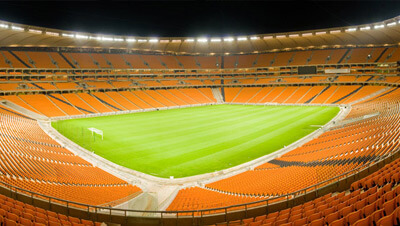 It will be noted on inspection of the photo that whilst the ticket appears on the face of it to be genuine – the ticket date is missing the month, the printing at the end of the tickets is poor – particularly the bar-code – and the talent reference no on the tickets is that, according to Simone, of a 2016 PSL fixture at FNB Stadium between Chiefs and Mamelodi Sundowns. Once Patrick had heard all of this – He immediately called the Authorized member – Lt Col Kraemer, advised him in a nutshell of what had been reported to him and expressed his serious concerns regarding the risk that this presented to the event and requested him to come to the Stadium immediately. He agreed and arrived at the Stadium approx. 45 minutes later. Patrick also called Computicket and advised a PA there that he urgently needed to speak to a Computicket Executive about the counterfeit tickets. In the interim Patrick advised Jacques Grobbelaar (CEO) of what had transpired and Patrick subsequently spoke to Alfie and Nico from Computicket about what had happened. Nico advised that he would send Theo to SMSA offices whom arrived an hour later. Col Kraemer then interviewed the said gentleman, and he repeated what he said to Simone and Patrick and Col Kraemer immediately called a senior member of the Commercial branch of Johannesburg Central. About 45 minutes later 3-4 members of the Commercial branch arrived and again the gentleman repeated what he had advised us originally. By this time Theo of Computicket was also present. Theo initially denied that the Computicket verification centre officials “stamped tickets” (this practice he said had been stopped “3 years ago” but the gentleman took him on in front of the Police and stated that it still happens at the Soweto Derbies at FNB Stadium. This also possibly required further investigation. Be that as it may the SAPS Commercial branch members advised that they were going to immediately investigate the matter and set a trap through “Parker” in Joubert Park. They requested Theo from Computicket to assist them with a statement and to accompany them. At this juncture Patrick excused himself from the meeting – but Simone who had remained in the presence of the gentleman in the Ops room since his arrival at the SMSA offices might have more to add plus she has the details of the senior of the Commercial branch detectives who arrived at the SMSA offices. She also has a full tape recording of what transpired and the contact details of Ali. Patrick has not heard anything since the matter was reported to the SAPS but he has heard “through the grapevine” that the police did make arrests and seize 3000 counterfeit tickets on Friday morning, the day before the match. Patrick is not sure whether the 2 matters are linked. One of the emergency gates that was forced open was between turnstile 14 & 15. It is our understanding that the VOC Commander, Lt Col Kraemer, was present at the scene at the time. As the gate flung open due to the pressure of these people pushing on the gate – chants of “push –push – push” were heard by eyewitnesses – the people pushing at the front of the gate fell over and the people from behind literally clambered right over them, causing blunt force trauma injuries in doing so, therefore it will be incorrect in stating that this was a stampede as a stampede is a wild sudden mass panic of a number of people in the same direction. Members of the VOC and stadium management staff who witnessed the incident, at risk to their own well being, went to the assistance of those who had fallen over. Medical assistance was immediately called to the scene and they responded, according to eyewitnesses, within 3-4 minutes. Unfortunately and sadly, and based on reports from the SAPS and the Stadium medical centre, 2 of the people who were trampled on succumbed to the blunt force trauma injuries they received after the gates were forced open. One other person has since been taken off life support and is now in a stable condition and 19 others have sustained minor injuries, of which a number has been discharged. In terms of the Safety at Sports and Recreational Events Act, 2010 (Act no 2 of 2010) (the Act) an inter disciplinary public and private sector Event Safety & Security and Planning Committee, chaired by an Authorized Member of the SAPS, appointed by a delatee of the National Commissioner of Police, was established during May 2017 to plan for this event. The SAPS Authorized Member, aside from his/her chairmanship of the ESSPC, appoints the members of the ESSPC, manages and coordinates the powers and of the ESSPC and had the overall authority to direct measures relating to safety and security at yesterday’s event. The SAPS had categorized yesterday’s event, as a medium risk event. No less than seven (7) ESSPC safety and security planning meetings and a series of, amongst others, ESSPC security and transport management sub-committee meetings were held, under the chairmanship and direction of the ESSPC chairperson, in the lead up to yesterday’s event. A properly and comprehensively documented ESSPC event safety and security plan was prepared for the event. In terms of the Act, a SAPS appointed VOC commander was the head of the Venue Operations Centre, the nerve centre of safety and security delivery at the event yesterday. As stated above, he was present at the scene of the incident yesterday, together with a number of other SAPS members and City of Johannesburg emergency officials, and is an eyewitness to what occurred at the emergency gate between turnstiles 14 & 15 today. The SAPS immediately took control of the scene of the incident and a full investigation is underway. SAPS have confirmed that an inquest docket has already been opened. From a Stadium Management South Africa perspective, we are deeply shocked by the tragic events of yesterday and our deepest sympathy goes out to the families of the deceased and those who have been injured.